Fed up with the restrictions at his conventional school, 10-year-old Scott Gray convinced his parents to transfer him to one where children control their own education. His father, Peter Gray, who's a developmental psychologist, watched his son thrive and began seeking to understand how children learned in such a setting, and what lessons could be drawn from it. 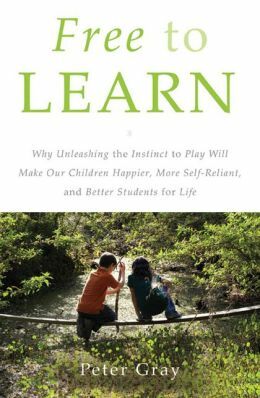 Years after his son graduated, Gray discusses his conclusions in his recent book, Free to Learn: Why Unleashing the Instinct to Play Will Make Our Children Happier, More Self-Reliant, and Better Students for Life. The Sudbury Valley School -- a “democratic school” where children are involved in setting and enforcing the rules of behavior, and are free to decide what to do with their time -- had been around since the 1960s. So Gray, based at nearby Boston College, began his exploration by surveying its graduates to assess what happens to kids after they leave such a low-pressure learning environment. To understand how the kids were learning, he and a graduate student observed them closely. 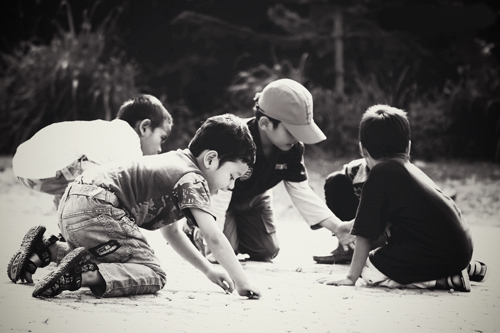 Analyzing data collected over hundreds of days, they concluded that free play and exploration hold “incredible learning opportunities, especially in mixed-age groups,” Gray says. To better understand why, he looked at it from an evolutionary perspective. For the vast majority of human history, people led a hunter-gatherer existence and evolved to thrive in that milieu. He surveyed anthropologists who had studied surviving human-gatherer societies and was struck by the similarities between how children learned in those groups and at Sudbury Valley. The school’s results now made sense to him. That meant a community of age-mixed children and caring and knowledgeable adults; an expectation that children can be trusted and put in charge of their educations; and opportunities to play freely with the tools of the culture (today, this would include things like books, computers, and cooking and woodworking materials). Adults serve as resources and administrators for the learning community. Gray says a certain minimum number of adults are needed to represent different skills and personalities, but that no formal training is necessary. The adults just need to be “very responsible and aware of the broader picture, and be seen by kids as honest and reliable individuals who talk to them as real people,” he says. One student, who went on to become a successful machinist and inventor, had spent much of his time tinkering with things to see how they worked. Another, who became the captain of a cruise ship, had played a lot with toy boats and then real ones. Yet another, now a high-fashion pattern maker, had made clothes for her dolls and her friends. The same principles apply to both abstract and concrete learning. “We live in a numerate and literate culture,” Gray says. “You can’t avoid learning arithmetic -- you learn it in order to measure things, make change, tell time. Many games involve adding, subtracting and dividing. So the kinds of numerical skills that are important for life, you learn through life.” Kids who have a deeper interest in the subject readily apply themselves to learn higher math, as did one Sudbury Valley graduate who went on to earn a PhD in the subject. Gray says two things led him to conclude that self-directed learning comes naturally to all children (barring exceptionally rare and serious brain disorders): They all start out as self-directed learners when they’re infants and toddlers, and a wide variety of kids have gone on to thrive at Sudbury Valley. “Kids who like structure schedule their days more, or take classes; other kids may spontaneously move from one thing to another and see where it takes them,” he says.